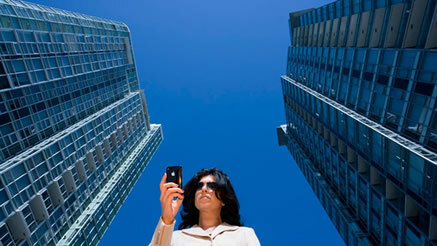 bigCDN can integrate mobile device technology with your existing offerings. 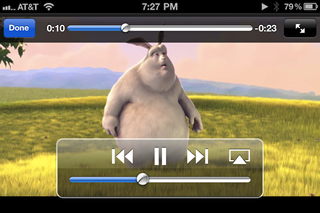 Mobile Video Streaming both Live and On Demand to smartphones and multiple devices is one of our most popular services. Our mobile device and cellphone experts have worked on projects for Verizon, Nokia, Orange and T-Mobile. As mobile video consumption surges, it’s not simple to deliver content that works across an array of different handsets. Now you can rise to the challenge with an intelligence layer that optimises streaming media delivery for today’s mobile or cell phones including live Apple HLS iPhone and iPad streaming plus RTSP live Streaming to Android handsets. You can stream music and live TV to mobile devices anywhere and with 100s of millions of potential viewers. Mobile video is one of the fastest growing markets today. There is no need for WiFi hot spots, cords or docking stations as most phones are now linked to a 3G cellular network. from the technical complexities of reaching a mobile audience. Universal URLs streamline publishing for instant access from any browser or application. Think of our mobile CDN as a traditional CDN with an extra layer of intelligence. (iPhone, 3GP, BlackBerry, Nokia, Motorola, Samsung, HTC smartphones) so you can stay on top of settings for frame size and encoding bitrates. It means you don’t have to worry about the capabilities of every new phone on the market. This content can be monetised through SMS reverse billing, subscriptions, download payments and micropayments. Please also see our Multi Protocol streaming service with mobile device and cellphone streaming demos. We also offer an end to end solution for the downlinking of Live TV channels anywhere in the world for encoding and simulcast streaming video delivery to mobiles. big CDN also provides detailed reports and analytics on historical data, most requested programmes, user behaviour and consumption metrics. This gives you valuable information about your audience, your content and your business. This entry was posted in Content-Delivery-Network and tagged Android, Blackberry, HLS, HTC, iPad, iPhone, live streaming, live webcasting, mobile streaming video, mobile video delivery, Motorola, Nokia, rtsp, Samsung, smartphones, Streaming Media Hosting, T-mobile. Bookmark the permalink.